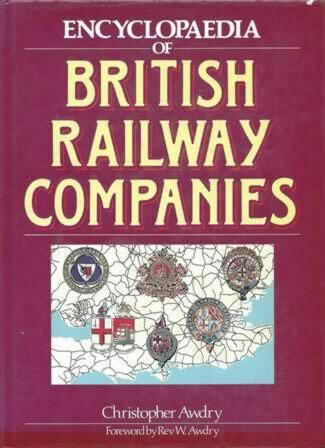 Encyclopaedia Of British Railway Companies. 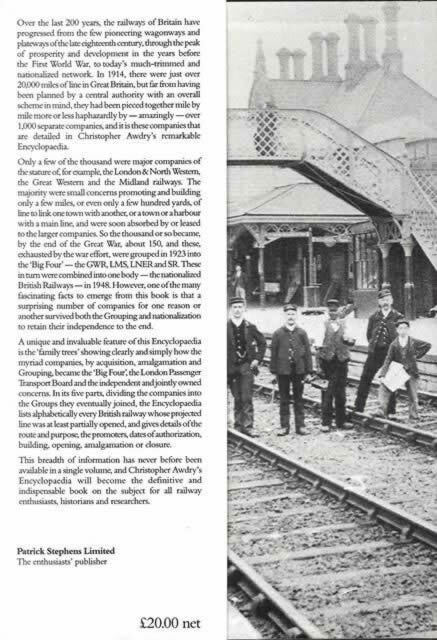 This book is written by Christopher Awdry and was published by Patrick Stephens Limited. This is a new book but the dust jacket has received some scuff marks and minor damange while on display.